Sunday, May 10 from 9:30 a.m. until 4:00 p.m.
Japan Day @ Central Park, a festival that celebrates the diversity of Japanese culture through food, activities, and performances, takes place again on Mother’s Day, May 10. Former NY1 reporter Sandra Endo hosts the exciting performances at the Bandshell. Feel the energy of traditional dances, taiko drumming, Japanese sword fighting, and a karate demonstration. The activity tents open at 9:30 a.m., where you and your family can enjoy learning Japanese words and phrases, calligraphy, and origami. You can have your face painted to look like a Kabuki character, play YoYo Fishing, try on yukata, and pose for pictures with Sanrio’s Hello Kitty and Domo from NHK. Japan Railways Group is hosting a stamp rally of Japan’s railroads. Visit different tent locations and answer various questions for a chance to try on a Japanese stationmaster’s uniform and participate in a lottery to win a special prize. Central Japan Railway Company will also conduct a traditional lottery, called Fukubiki, for an opportunity to win unique prizes when you visit their Super Conducting Maglev booth. 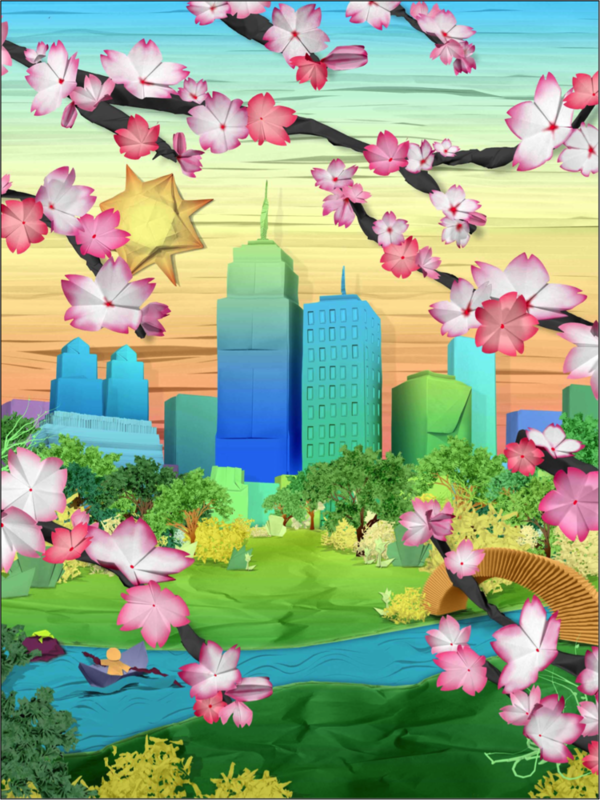 Participants of the Japan Day Art Contest will display their artworks, including winner Marci Ichimura’s submission, whose work is the official artwork of Japan Day @ Central Park. Of course, it wouldn’t be Japan Day without Japanese food. Several vendors will be on hand to provide samples of gyoza, okonomiyaki, yakisoba, onigiri, snacks, and tea. The Consulate General of Japan in New York in cooperation with Japanese confectionery craftsperson Miyuki Hyodo will offer an instructional demonstration and provide a tasting of wagashi, traditional Japanese sweets. The food tents open at 11:30 a.m. and will serve throughout the day while supplies last.Last year Japan Day @ Central Park created a music video to AKB48’s song “Fortune Cookie,” featuring members of the Japanese community in New York. This year, six members of the mega-popular Japanese idol group AKB48 will perform on stage. The Cherry Tree Planning Initiative has been a part of Japan Day @ Central Park since 2009, when the organizers began a partnership with the Central Park Conservancy to supplement and replace the trees that were part of Japan’s original gift of cherry blossoms to Japan more than one hundred years ago. Donate $20 or more at the Charity Tent on Sunday to support the initiative and receive a T-shirt featuring the original artwork from participants in the Japan Day Art Contest. It’ll be a great day of Japanese culture, so take Mom to Central Park to celebrate! For more information, please visit Japan Day @ Central Park’s website.